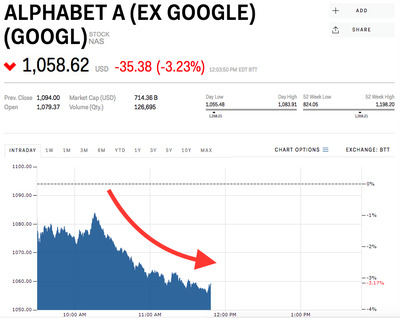 Google parent Alphabet‘s stock was down 3.23% following a broader selloff in tech stocks on Thursday. The stock has been trading lower following news that political research firm Cambridge Analytica, which has ties to President Donald Trump, has reportedly accessed 50 million Facebook user profiles without consent from the users. The Facebook scandal has weighed on other tech stocks, as well as the major indices, over concerns that lawmakers and regulators will clamp down on the use of user data by major tech companies, long seen as the conduit for higher ad revenues. “The concern is that you’re opening a can of worms,” Macquarie analyst Ben Schachter told Business Insider. The long-term concern is that regulators might respond to news of the breach with onerous restrictions, said Schachter. The S&P 500 technology index was down 1.91% on Thursday. 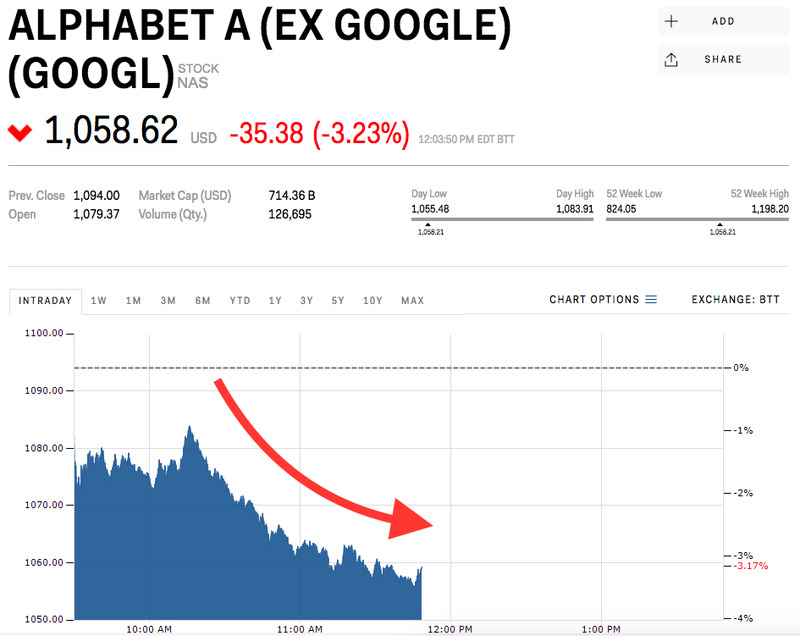 Watch Alphabet’s stock trade in real time here.